Vaikom is located in Kottayam–the land of natural rubber latex and spices. Vaikom gained prominence in the history of Kerala during the Indian independence movement when unity was of utmost importance. The Vaikom temple area also witnessed the civil rights’ movement against discrimination. At a time when class separation was prominent, Vaikom temple dedicated itself to equality for the socially and financially underprivileged. Everyone was allowed to enter the temple and use the public spaces around the temple. 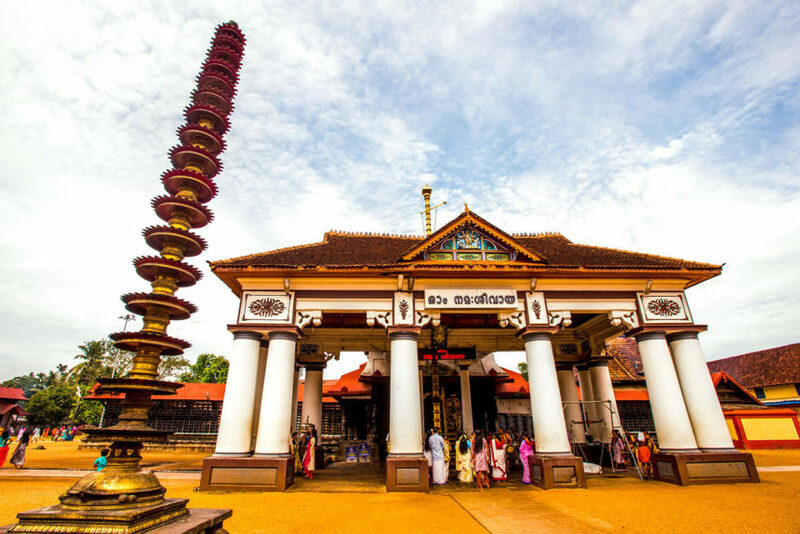 Our journey brings you closer to the Vaikom temple and it’s wonderful history and architecture. The architecture of temples in Kerala is unique in that they are based on the ancient science of construction and geographical features of the land. As per the traditional architecture, each element of temple represents an element of the human body and a temple is not only a space for spiritual enlightenment but also the venue for harmonious social networking. We also visit the cultural center in Vaikom to watch traditional dance performance Kathakali, the traditional dramatic and mimetic dance form, which plays stories from epics. It is a unique blend of dance, music, action, literature, and make-up.